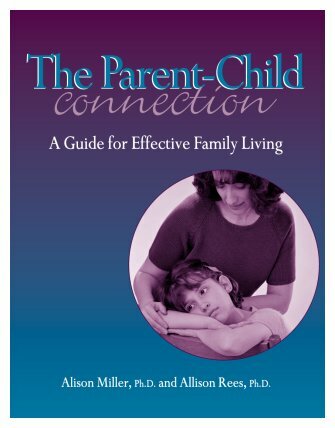 We’re happy to offer many parenting resources, including articles by Dr. Alison Miller and Dr. Allison Rees, downloadable handouts, and a recommended further reading list on this website. Please Select which book and your desired quantity from the above options. Published in 2008, “The Parent-Child Connection” is the second of our original two LIFE (Living in Families Effectively) books. It’s based on the course of the same name. 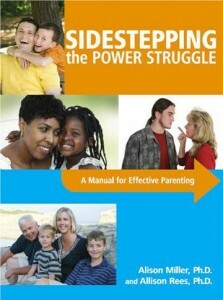 It contains everything you need to know about the parent-child relationship, including developing a healthy bond with your children, communicating effectively, establishing and respecting boundaries in the family, handling your own and your children’s emotions, and developing their and your self-esteem. LIFE Seminars first book published in 2007 and entitled “Sidestepping the Power Struggle” contains everything you need to know about your children’s individual temperaments, their stage of development, behavior at each age, and what events can trigger difficult child behaviors. It teaches you how to help children take responsibility for their own lives as they mature, and how to help them mature into ethical and competent human beings. It discusses effective and ineffective discipline techniques. If you read and practice everything recommended in this book, it will not only empower you to become a more effective parent, but also enrich the lives of those who matter most. Use of Materials: LIFE materials are copyrighted. This includes the articles on this website, which are available free for personal use but not for re-publication. Persons wanting to publish the articles need to contact LIFE staff for permission and prices. Trained professionals may present courses by using the LIFE material. Those without training in group facilitation and in this material should use the material only for small group study, not for presenting courses. LIFE Seminars are responsible for the printed or digitalized material, but not for its misuse. Individuals choosing to use LIFE materials to present courses are responsible for their interpretation and use of the information with course participants. Shipping and Handling Costs: Shipping and handling costs depend on the particular purchase and the country shipped to. Downloads have no shipping and handling costs. Taxes: Residents of Canada must pay 5% GST (goods & services tax), and residents of British Columbia must pay 7% PST (provincial services tax).